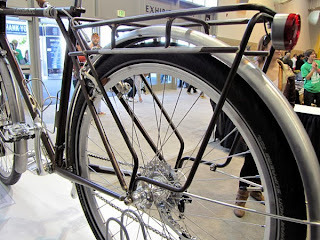 At the recent grand opening of the bike shop The Bike Settlement, I came across a great deal for a Lezyne light. As the distributor for Lezyne and many other brands (such as Minoura, Cateye, American Classic, Lynskey), they do offer great deals from time to time when some old stocks need to be cleared. Although I already have too many front lights, I could not resist a good deal when I saw one. At 50% off the original retail price, it was too good a deal to pass up. Here is the new front light that I got! Lezyne Power Drive XL, 2014 version. There is a newer, brighter 2015 version. The list of features that this Power Drive XL front light has. With a max brightness of 475 lumens in Overdrive mode, it is more than plenty for normal commuting use. For commuting, I will use either the Economy mode or the Flash mode, which gives a really good runtime. Contents of the Lezyne Power Drive XL Front Light. 2 different sized clamps for different handlebar diameters. The two rubber shims of different thicknesses, to cater to all handlebar diameters. You may notice that this Power Drive XL front light is very similar to another Lezyne light which I have, the Lezyne Super Drive XL front light. Comparing the two side by side, they look very similar. The biggest difference is probably only the brightness and runtime of the different lighting modes. This first generation Super Drive XL front light has a max brightness of 500 lumens. At that time (Year 2012), the Power Drive XL has a max brightness of 400 lumens. Lezyne Super Drive XL on top in silver colour, and the new Lezyne Power Drive XL in black. The only difference in appearance are the profile lines at the side of the main body. Weight of Power Drive XL. Slight weight difference is probably only due to the difference in side profile of the main body. Together with the handlebar clamp, the Power Drive XL weighs 170 grams. Both the lights use a 18650 sized lithium ion battery. However, I had previously upgraded the capacity of the Super Drive XL light from 2400 mAh to 3400 mAh, boosting the runtime by a theoretical 40%. Although the lights themselves are very similar, the light mounts are quite different! The Super Drive XL uses the first generation of mounts, while the newer Power Drive XL uses an improved mount. One of the complaints that I had about the previous mount was that it was quite difficult to slide the light onto the mount. The plastic lever was really tight and I was always afraid of breaking the mount. The other problem that I saw was that the old mount had a plastic thread for the bolt to tighten into. I was surprised and quite glad to see that both of these problems have been addressed in the new mount. The new mount is wider and also more secure than the old mount. The snap fit design has been modified such that it is easier to insert and remove the light from the mount. As for the plastic thread issue, there was a risk of stripping the thread on the old mount if the bolt is overtightened. This has been solved by inserting a steel nut into the mount, which is unlikely to be damaged. New mount on the right is more user friendly as it is easier to insert and remove the light from the mount. Instead of a plastic thread on the old mount, the new mount has a steel nut insert to prevent thread stripping issues. I also tried swapping the lights around with the mounts (Eg. old light with new mount and vice versa), but they did not seem to fit very well. It was either slightly loose or too tight to install. Although the mounting design and mounting points look similar, there are probably slight dimensional differences between the old and new mount. This light will go onto my Avanti Inc 3 commuting bike, replacing the Blaze Laserlight that I have been using previously. With a black colour finishing, this new Lezyne Power Drive XL front light also matches the stealthy black colour scheme of the Avanti bike. New front light on the commuter bike! With this new light, the battery runtime is good, and I can also bring along a spare battery to swap in just in case the battery runs out. Overall, it was a good deal for a new front light! How does it compared to "Cateye Volt 700 EL-470 Front Light" except Lumens ? They have slashed the Cateye prices too. Can I also upgrade to higher capacity batteries in Cateye like you did in Lezyne ? 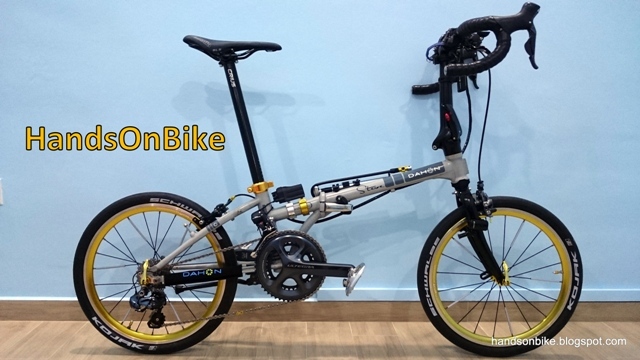 Is it good enough for 35-45 kph speed riding ? I haven't used the Cateye Volt 700 front light before, so I can't really do a comparison. 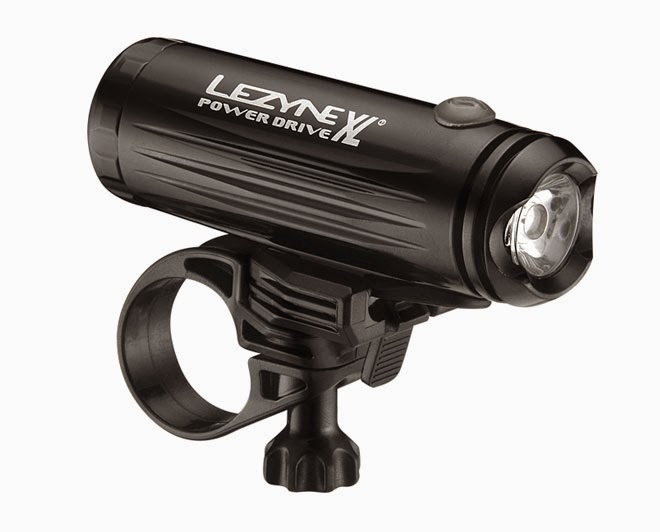 For this Cateye front light, they use a special battery, not like the standard 18650 battery in the Lezyne. The Cateye battery might be more expensive. For high speed riding there is no problem. In any case, I can't see how speed is linked to the quality of a front light.